I am currently framing the final pieces for my solo exhibition at the Meffan Gallery in Forfar. The PV is on Friday 14th September at 7pm, with introductions at 7:30pm. All are welcome. 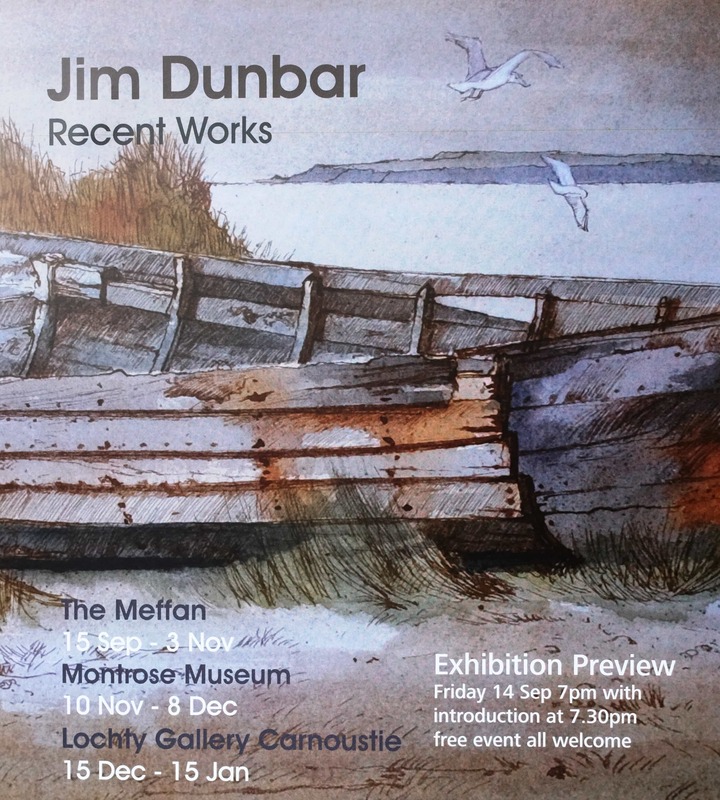 The exhibition runs from 15th September until 3rd November 2018 and, a reduced show, will travel to Montrose Museum opening on 10th November until 8th December and finally open in Lochty Gallery, Carnoustie, on 15th December until 15th January 2019. Exhibition Poster for the three venues.